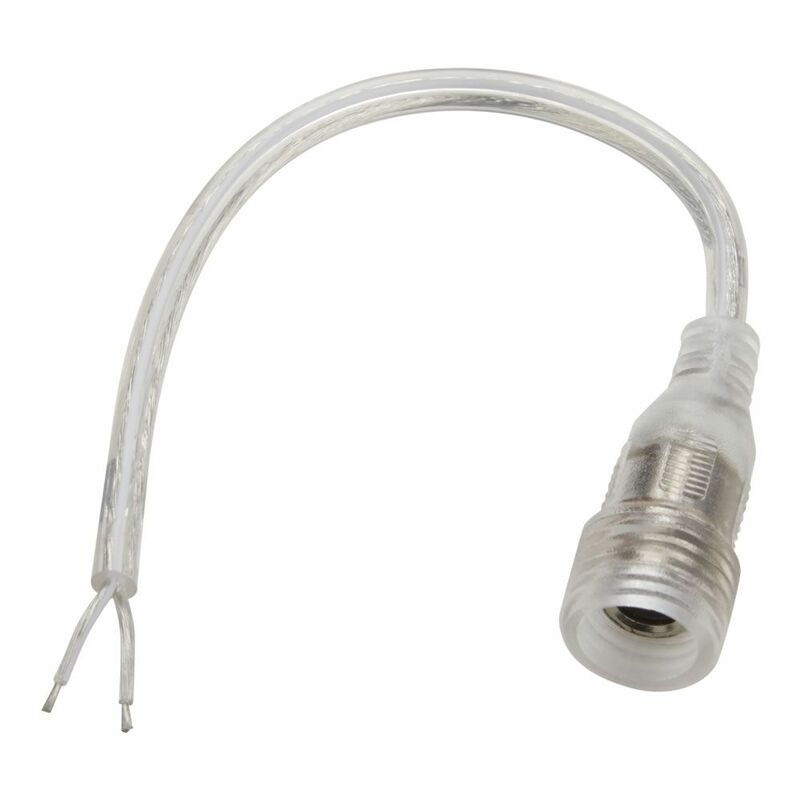 Easy to install waterproof strip light power connector. 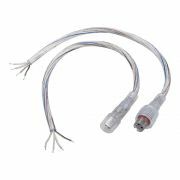 Ideal for connecting single colour LED strip lights to complete your lighting feature. 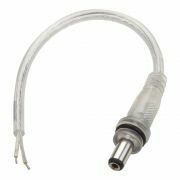 Featuring a female jack connector and 2 core wire bare end. IP67 rated, ideal for outdoor use.